In 1933, naive twenty-two-year-old Alice is pregnant, unmarried, and disgraced. She can no longer share her parents’ London home, so her desperate mother concocts a cover story and begs her old friend, Mrs. Jelphs, for help. The housekeeper at rural Fiercombe Manor, Mrs. Jelphs is moved by Alice’s “plight” as a new widow and agrees to watch over her in the secluded English countryside until the baby is born and given up for adoption. Because the manor house’s owners, Lord and Lady Stanton, no longer live there, Alice’s only company will be Mrs. Jelphs and her skeleton staff. Thirty years before Alice’s arrival, Lady Elizabeth Stanton awaits the birth of her second child, fervently hoping he will be the boy her husband desires. But as her time nears, she is increasingly tormented by memories of what happened with her first baby and terrified that history will repeat itself . . . with devastating consequences. At first, Fiercombe Manor offers Alice a welcome relief from her mother’s disapproving gaze. But she begins to sense that all is not well in the picturesque Gloucestershire valley. After a chance encounter with Tom, the young scion of the Stanton family, Alice discovers that Fiercombe’s beauty is haunted by the clan’s tragic past. She is determined to exorcise the ghosts of the idyllic, isolated house. My thoughts: As soon as I read the description of this book, I just knew I had to read it. And, once I started it, I found myself immediately drawn in to the two worlds - that of Alice and of Elizabeth, never once imagining how things would turn out. It's no secret that I am a big fan of the dual-narrative plot technique, and found that in this case, it was used so well, adding to the intrigue and mystery that is already woven into the story lines. Ever so slowly, we are given pieces of what has happened at Fiercombe Manor, moving back and forth from Alice's point of view in 1933 to Elizabeth's point of view in 1898. As Alice begins exploring Fiercombe Manor, she finds herself fascinated and slightly obsessed with Lady Elizabeth Stanton. She even begins to have dreams about her, and her mind begins to play tricks on her. As she digs deeper, she realizes that there are quite a few similarities between her life and that of Elizabeth's. There are times when reading a book with two different story lines going on, that you tend to feel more drawn to one character/story line than the other. But not in this case, at least for me. I found myself drawn to both characters - wanting to know what happened to Elizabeth and her child, while at the same time, hoping that nothing bad would happen to Alice and her baby. Each time the book flipped to the other story line, I was desperate to get back to the other one...and felt like each ended with just the tiniest cliff hanger, too. Even the setting in this book pulled me in. It gave you that eery, foreboding sense of atmosphere. 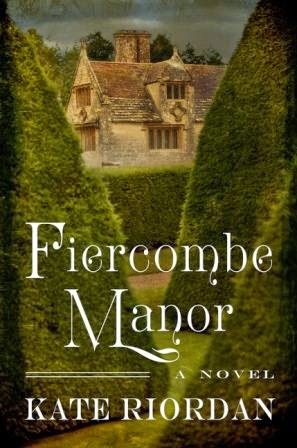 The descriptions were so vivid that I had no problems picturing the estate and mansion in my mind and would actually love to visit Fiercombe Manor if such a place did exist. Kate Riordan is a new-to-me author, but one that is now going on my list to keep an eye on. This was a beautifully written, haunting book that I'm not soon going to forget. I've already passed my copy on to my mom and can't wait to hear her thoughts! 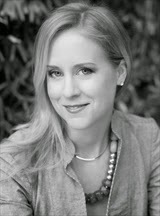 About the author: Kate Riordan is a British writer and journalist who worked for the Guardian and Time Out London. She is also the author of Birdcage Walk and is already at work on her third novel. Born in London, she now lives in the Gloucestershire countryside. 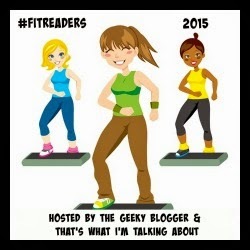 To see who else is participating in Kate Riordan's Fiercombe Manor tour, click here. Well, the week didn't quite calm down work-wise, as I had hoped, but I did get more walking in than last week. I still didn't make it to the gym, but tried harder each day to get those steps in. And, of course, the days I did get my walks in, I felt much better, even though work was so stressful. It really goes to show how exercise does help! Audiobooks listened to this week - it was a great audiobook week - finished 2 books! Brilliantly paced, Finding Jake explores these questions in a tense and emotionally wrenching narrative. 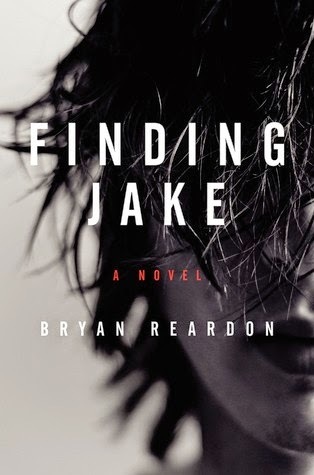 Harrowing and heartbreaking, surprisingly healing and redemptive, Finding Jake is a story of faith and conviction, strength, courage, and love that will leave readers questioning their own lives, and those they think they know. My thoughts: This is a very emotional, difficult read, but a brilliant one, nevertheless, that takes you on a journey that no one ever wants to go on, especially not a parent of a teenager. I may not have children myself, but I do have many nieces and nephews and can only imagine what it would be like to be in Simon's shoes. I've read quite a few books that touch on tragedies involving some type of school violence and find that each one is handled completely differently. Here, we have a school shooting and we find out rather quickly that the one shooter is killed, but is there a second shooter? And is that shooter Jake? Told from Simon, Jake's father's, point of view, the story moves back and forth in time from the present day to the past as Simon relives his memories of raising Jake as a stay-at-home dad. Jake is missing and there are many questions that cannot be answered until either he is found or his body is found. Simon looks back at Jake's life and wonders if in fact Jake could have been that second shooter...were there clues that perhaps he should have seen? The writing in this book is palpable - my heart was racing almost the whole time I was reading this. I was all over the place with my thoughts on what was going to be the outcome. I empathized with the parents and felt outraged against the neighbors and other school parents for assuming the worst once they realized Jake was missing. While this is a relatively quick read, it's one that will no doubt stay with you long after you finish that last page. We see the insecurities that parents go through when tragedies strike close to home as well as that eternal love that a parent has for a child. How far will a parent go to protect their child? Last July, I read One Plus One by Jojo Moyes when it was first released in hard cover, and I really enjoyed it! You can find my thoughts on the book here. On March 31 the book is being released in paperback and to celebrate, I am helping the publishers get the word out. I also have 1 copy of the book to giveaway - be sure to read all the way to the bottom of the post for details! These recipes will be a delightful complement to your discussion, and all perfectly portable if you want to take this club on the road! Combine the above ingredients in a food processor. Blend continuously until smooth. Serve with your favorite vegetables and pita wedges. Slice focaccia loaf lengthwise. Top with prosciutto, mozzarella, tomato, and fresh basil. seconds or until smooth. Stir in vanilla. Pour mixture over cereal, stirring until coated. well coated. Spread on waxed paper to cool. 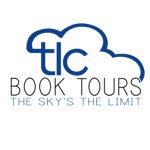 * From Penguin Online Book Club Kit - for more exclusive material directly from the author herself, be sure to check this out. Click here for more details. 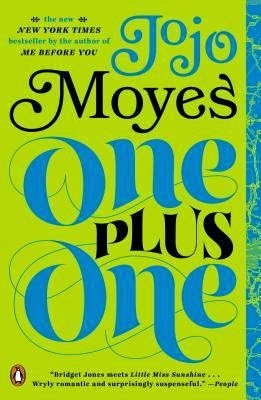 Thanks to Annie at Viking/Penguin, one reader can win a copy of One Plus One by Jojo Moyes. To enter the giveaway, please fill out the form by March 31st. This giveaway is open to US residents only and ends March 31st. Today, we are hosting our annual St. Patty's Day party. My town, the #1 Irish town in NY, has the 2nd biggest St. Patty's Day parade outside NYC's parade and is always the Sunday after St. Patrick's Day, unless the holiday falls on a Sunday, in which case our parade is on the actual holiday and the city's is the day before. We live just 4 houses off the parade route, so it doesn't matter what the weather is (in today's case, it's rather chilly and there's still some snow on the ground thanks to the snowstorm on Friday!) as people can easily walk back and forth to our house and the parade. We have the event catered - I get bagels and fruit for before the parade and then we have the traditional corned beef and cabbage for after. It's a fun day and one of the few big events we host at my house. On the reading front, I don't seem to be getting much reading time in due to work. My schedule is a little crazy at the moment, but I am getting a lot of audio time in - lots of time spent in the car, driving back and forth between locations. This might be the first month where I finish more audio books than print books! So, last week I was in Washington DC with my mom and we did a ton of walking! Friday was the better day, weather-wise, so that's why you'll see the higher step amounts, but we still did a fair bit of walking even in the rain on Saturday. The rest of the week, work was insane, and I was afraid I was coming down with a cold, so I didn't do any purposeful exercise other than just walking the dogs three or four times a day, depending on the weather. I'm hoping next week, work will calm down and I can get back to my normal exercise regime, including getting back to the gym! 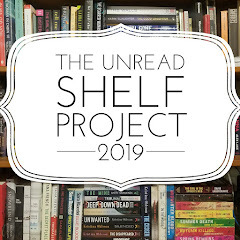 My thoughts: This is a great series and I am loving that since I got a late start to it, I can read (or in my case, listen to) the books in rapid succession rather than have to wait a year until the next one comes out. This one picks up shortly after the previous one, with Tempe on her way to a vacation with Ryan when a case derails those plans. The case was interesting, intersecting with another one, and Tempe's daughter was present in this book - which is not often the case. Interestingly enough, Ryan doesn't really appear too much in this book...though, their relationship does seem to be moving forward to some degree. I will say that this definitely wasn't my favorite. I liked it enough to finish it, but more so that I didn't miss out on any character development than anything else. It just seemed to drag a bit, which I haven't felt in the previous books. Oh well, can't love them all! Audio thoughts: Another installment in this series, another new narrator. Oh how I wish they would pick one narrator and stick with her for the whole series! It's so hard to get used to the new voices when you already have someone else's voice in your head. That being said, this is the first time I've listened to Barbara Rosenblat narrate anything and she did a good job despite me already having heard quite a few other narrates voice this series. 'Two women died every week in the UK at the hands of a partner or ex-partner. On average, women endured thirty-five incidents of domestic abuse before contacting the police. And then I showed up the thirty-sixth time and stumbled through my arguments for why the victim should trust us. As if we could save them. 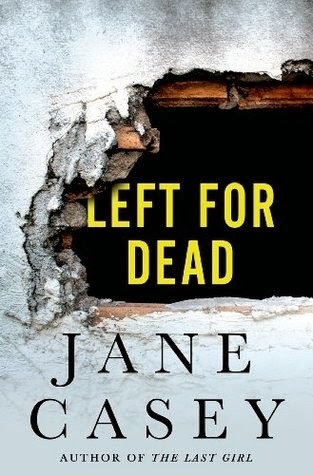 Jane Casey's bestselling D.C. Kerrigan books have earned her many fans. This exclusive digital short story takes Maeve back to her early days as a rookie police woman. 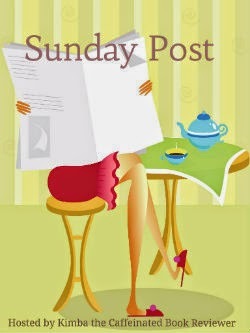 My thoughts: I only recently heard about Jane Casey's Maeve Kerrigan series and while this short story actually came out much later than the first book, because I am just starting the series, I decided to start with it. I've been on a big mystery/crime kick lately and have also been exploring foreign authors (non-US). 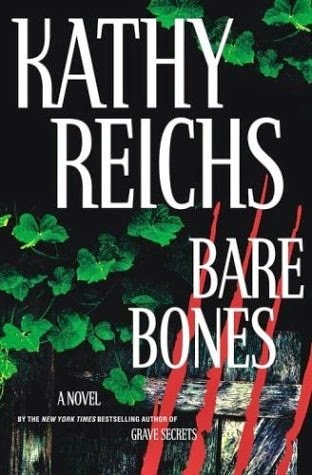 Not having read any of the books in this series, I found this to be a great introduction to the character of Maeve Kerrigan. I went in with no expectations about who she was or how she would act in any situations. It was nice meeting her with a clean slate and seeing her without any prejudices in my mind. I got to see her in her early days as a rookie as she struggles to make a name for herself in the department. I think I'm really going to like this series. Maeve seems like a strong female character and she's a bit feisty, too, which I like! There's no romantic involvement here, but I have suspicions that that won't last the whole series - it rarely does. The question is - does she get involved with someone at work, or someone outside work? Either way, I'm excited to start this new-to-me series! My thoughts: As soon as I read the description of the this book, I knew I wanted to read it. I knew it was going to be one of those books that would just take my breath away and it absolutely did. I ended up reading and listening to this and I couldn't have been happier with that decision - listening to this story only enhanced my enjoyment of it. Told in a dual narrative, this story delves into the history of the flower girls - those girls who were orphaned and crippled, and sold flowers to survive. Unbeknownst to Tilly, when she takes on the job as housemother at one such home for flower girls, her world is about to turn upside down. I have really come to enjoy the dual narrative as a plot technique. I loved the back and forth movement in time as we get to know both Flora and Rosie and what happened to them in the past, and Tilly's story in the present and how she came to be the housemother in the present-day story. When the stories collide, as they usually do in some fashion in this types of plot techniques, I actually got chills. This was one of the better ones I had read! The writing of this book is absolutely beautiful - so descriptive and captivating. It really brings to life what life in London during the late 1800s and early 1900s was like for these girls. And while part of this book is a bit sad, it's also quite heartwarming and will leave you thinking about these characters long after you finish reading that last page. 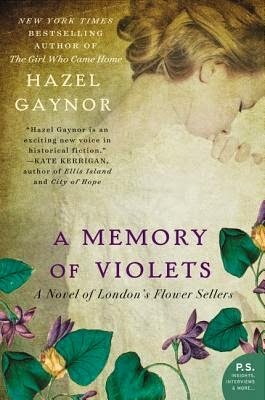 This was the first book I've read by Hazel Gaynor, but it certainly won't be the last! Audio Thoughts: This is the first time I've listened to Nicola Barber narrate a book and I just loved listening to her voice. She has a great British accent and I thought she did all the characters justice in this book - the young and the old alike! Each and every character got their own unique voice, even the few men that appeared and I never had a problem discerning who was speaking. I really enjoyed listening to her and will definitely be checking out what else she has narrated. My thoughts: This is the first book I've read by Meg Donohue and I have to say I am a new fan! Of course, it didn't help that that the cover has those adorable chocolate and black labs on it - I happen to have two chocolate labs and am a huge dog lover. This book just called me - both the cover and the title - and I flew through the pages! A short read, I found myself immediately immersed in Maggie's life. While I have never experienced the loss of a pet personally, I could empathize with her as she struggles to deal with the death of her beloved dog Toby shortly after moving across the country. Much like Maggie, I don't have kids, so my dogs are kids. While she is a pet bereavement counselor, there to help her patients deal with the loss of their own beloved pets, it turns out it's her that needs some help overcoming her grief. The characters in this book are just charming. I absolutely loved Anya and the friendship she forges with Maggie is just what they both need. The other characters all round out the story and of course, the dogs all play an integral part in the book, too. Seymour, Toby and Giselle all won the affections of my heart. This is certainly a quick read, but don't be fooled by the length. It's jam packed with emotion. I laughed, I cried, I cheered and felt my heartstrings tugged, loving every minute of it. This is a book that will stay with me for a long time and one that will certainly be staying on my bookshelf. Perhaps it will even be a comfort read for that time when something happens to my furbabies. Either way, it's a keeper! And I will also be running to pick up Meg Donohue's other books, both of which I happen to have sitting on my shelf! 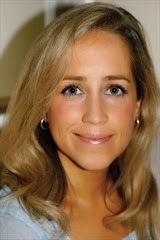 About the author: Meg Donohue is the author of How to Eat a Cupcake. She has an MFA in creative writing from Columbia University and a BA in comparative literature from Dartmouth College. 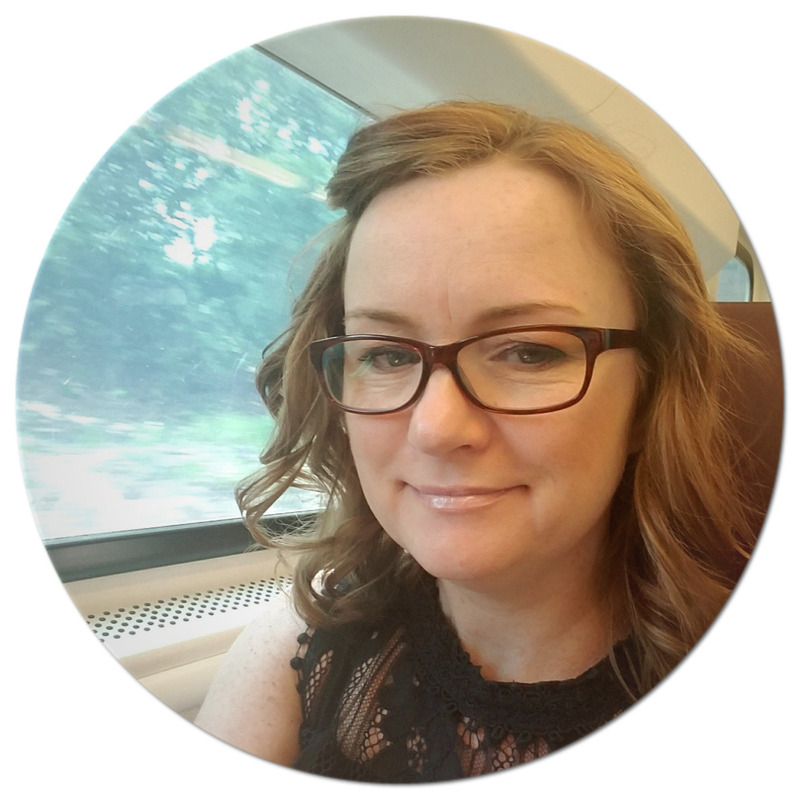 Born and raised in Philadelphia, she now lives in San Francisco with her husband, their two young daughters, and their dog. 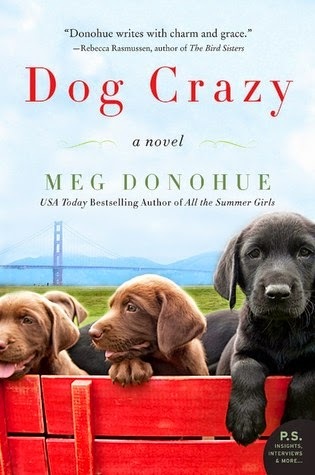 To see who else is participating in Meg Donohue's Dog Crazy tour, click here. This week I met up with my mom in Washington DC - she lives in North Carolina and I live in New York, so it's pretty central for us both. We were supposed to be walking the 1/2 marathon, but because of the rain, we decided to not do the race and just sight-see instead. We did this last year, too, though we did walk the race last year! This time around, we went to two different museums - the Newseum and a quilt exhibit at the Daughters of the Revolution Museum as well as going over to the Lincoln Memorial, which I haven't been to in many, many years. We found a great tea shop and stopped by there both Friday night after dinner and again Saturday for lunch - Mom and I are both big tea drinkers! It was a fun weekend and I just love walking around DC!